© 2002 Homegreen Films − All right reserved. A girl (Shiang-chyi Chen) looks for a street vendor in Taipei. But she can’t find him since the Skywalk is Gone. 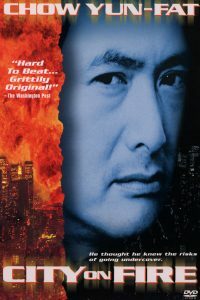 The Skywalk is Gone (Mandarin name: Tianqiao bu jian le) is a 2002 Taiwanese short film directed by Tsai Ming-liang and starring Chen Shiang-chyi and Lee Kang-sheng. Shiang-chyi has returned to Taipei from her trip to Paris. 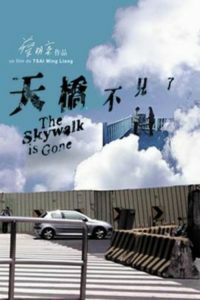 She goes to the skywalk where she first met Hsiao-kang, the salesman who sold her a watch, but some construction has taken place and the skywalk is gone. She stares at a large video screen for a while and then wanders around aimlessly. After crossing a street illegally, she is stopped by a police officer, who checks her ID card. Shiang-chyi then stops at a coffee shop for a short while. She realizes that her card is missing, so she goes back to the officer to ask if he still has it. He replies that he does not. Meanwhile, Hsiao-kang is smoking in a public toilet stall. After he finishes, he washes his hands and leaves the restroom. He then walks up some stairs on the underpass. Shiang-chyi is walking down the same flight of stairs, and they pass each other. Hsiao-kang pauses at the top of the staircase to look back down at her, but Shiang-chyi does not notice him. 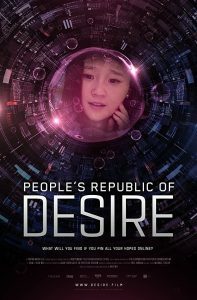 Hsiao-kang then goes to audition for a new job as a pornographic actor. The director asks him a few questions and then tells him to take off his clothes. 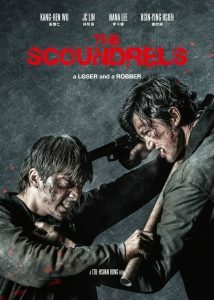 Hsiao-kang hesitates but eventually complies. He then puts on a doctor’s uniform and steps out onto the balcony to start filming. The short ends with music playing over a scene of clouds moving in real-time. Next articleWhat Time Is It There?